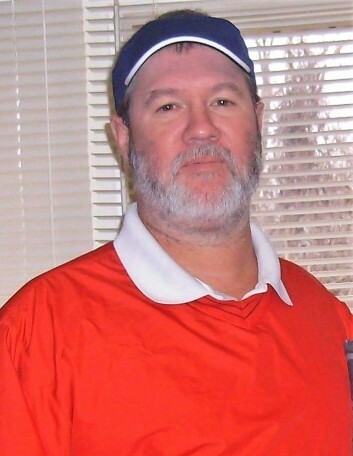 David J. Hendren, 52 of Dyersburg, Tennessee died on Saturday, February 9, 2019, at Jackson-Madison County General Hospital in Jackson, Tennessee. Born Tuesday, June 28, 1966,in Illinois, he was the shipping coordinator for Hexpol of Dyersburg, was the main assistant football coach at Three Oaks Middle School and helped coach many area softball and baseball teams. Funeral services for Mr. Hendren will be 2:00 PM on Tuesday, February 12, 2019 in the Chapel of Johnson-Williams Funeral Home. Officiating this service will be Rev. Donnie Crone. Interment will follow in Dyer County Memorial Gardens in Dyersburg, Tennessee. Visitation will be Tuesday from 11:00 AM until 2:00 PM at Johnson-Williams Funeral Home. He leaves to cherish his memory his wife, Sheila Butler Hendren of Dyersburg, Tennessee; one son, Ethan Hendren of Dyersburg, Tennessee; one daughter, Olivia Hendren of Dyersburg, Tennessee; his parents, Sidney and Carolyn Hendren of Dyersburg, Tennessee; three brothers, Butch Hendren (Peggy) of Dyersburg, Tennessee, Marvin Hendren (Tracey) of Dyersburg, Tennessee and Richard Hendren(Tammy) of New Jersey; one sister, Susan Townson (David) of Dyersburg, Tennessee; one grandson, Bentley Hendren of Dyersburg, Tennessee and soon to join the family on March 27, 2019, Jaxxon Avery. Pallbearers will be Jamie Hudson, Mike Cooper, Greg Gilliland, Johnny Rhodes, Andy Davis, Blake Kolwyck, A. J. Adams and Chris Eaves. The family ask that any memorial contributions be directed to Three Oaks Football Team, 3200 Upper Finley Road, Dyersburg, Tennessee of the Community Cancer Fund, P. O. Box # 1055, Dyersburg, Tennessee 38025-1055. Online condolences may be made to the family at johnsonwilliamsfuneralhome.com. Johnson-Williams Funeral Home is honored to serve the family of David J. Hendren.